Streets. McGuire had established a punt at this spot on the Goulburn. Today is seen a track or cutting through the bank on each side of the river , at the foot of High Street. 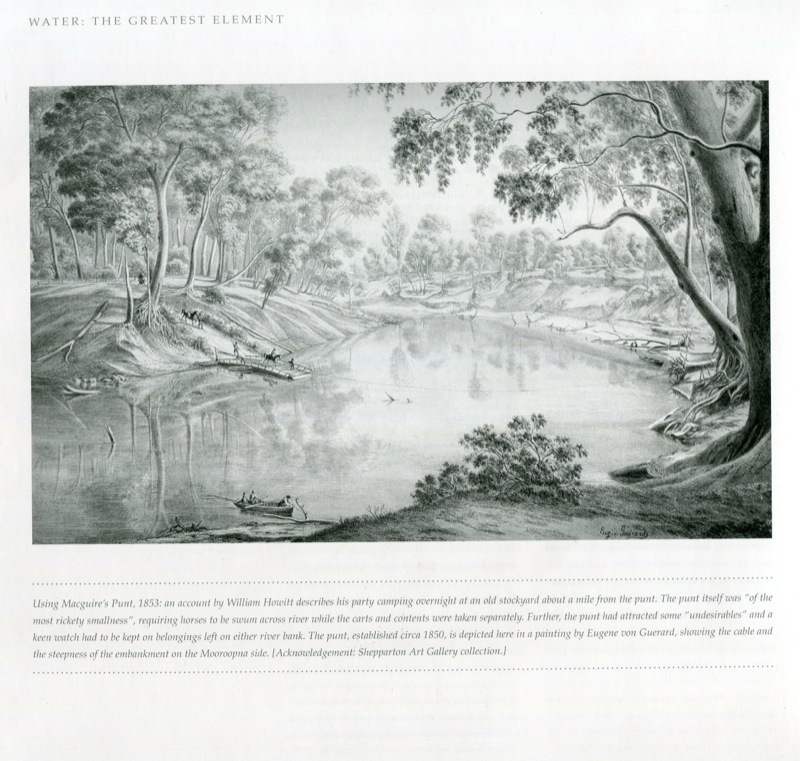 In the early days a sign was erected on the track at the eastern side of the river, on which was painted "From Bendigo." Punts remained in use until 1876. The last two owners of punts in this particular locality were Archer and Fraser. Advert for the Emu Inn at McGuire's Punt, Melb Morning Herald 1853.
it gradually assumed the name of "Shepparton" from the first survey of the township. Sheppard's portrait may be seen at the Shire Council offices today. Shepparton was proclaimed a township on September 28, 1860 , when the name McGuire's Punt was dropped. John Downey cut up the rest of the village in 1874, and though all the streets were set out none were named. Whatever credit may be due for the well laid out town, the surveyor did not depart from the fine start set out by the survey of Wilmot. Alfred Leahy completed the survey of Shepparton in 1877, his first datum mark being taken at the site where the Commonwealth Bank now stands . Leahy had the streets all named at this period and set out all allotments on his plan. 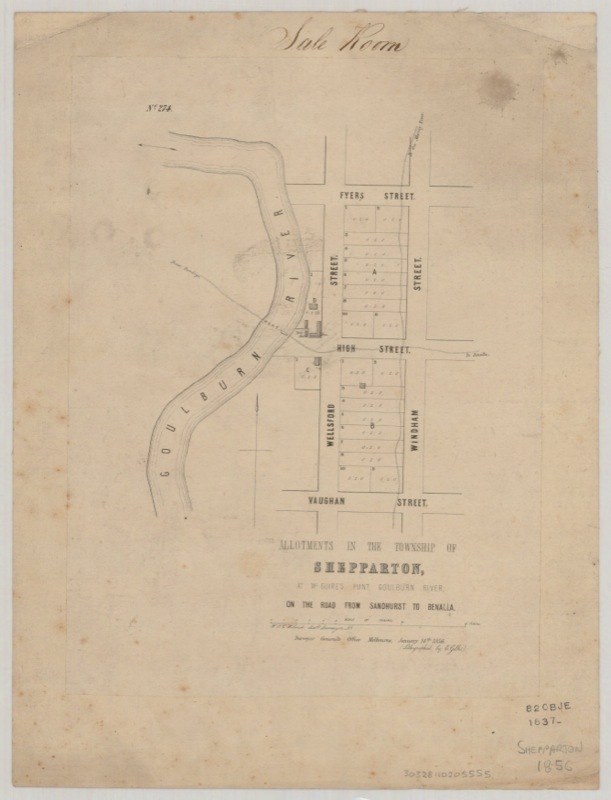 The first survey of the township of "McGuire' s Punt" of "Shepparton " ( both names appearing on the original plan) was made by J. G. Wilmot on July 13, 1855, and was a good survey . (The photograph of the original plan may be seen today ). A description of the survey is as follows : "There were two streets , Wyndham and Welsford Streets, which were crossed by Fryer, High and Vaughan Streets. The latter three streets began at Wyndham Street and finished at the river."